Technology continues to change the landscape of the vacation rental industry, and with that comes the increased demand for smart home automation. We started our smart home search in August of 2017. We set out to find not only the best solution for our owners, but a solution that gave us an enterprise capability. This was something a little bit more challenging, because our guest interaction starts once they’ve booked their reservation, not during the booking process. We’re not the traditional vacation rental company, meaning we don’t provide marketing, or bookings for your vacation rentals. We provide a service solution for owners looking to market their own investment but can’t be present to facilitate their operations. After an exhausting search we finally partnered up with PointCentral, and in December of 2017 we began rolling out an optional smart home automation solution for our owners. One point I would like to make immediately is that this is completely optional and not a requirement. I’m putting such a strong emphasis on this because I’ve had countless meetings with vacation rental owners who have been given no option on company driven charges they’re incurring. Cellular-based and not Wifi dependent – Smart home automation is great but if the power is out, it’s rendered useless. Consequently you are now in a waiting game, or worse, you have to send someone out to reset the hub, router, or a combination of both. The great thing about a cellular-based smart home automation solution is that there’s no down time and if the power goes out, the hub has a 6 hour battery back up. The system also alerts us that there is a power failure. Guest and home security – Each guest receives a unique access code during the time of their stay; it terminates upon their departure. Our team members and vendors also receive a unique access code. The Point Central dashboard provides both us and the owner with visibility and a history of who has entered the property. Connectivity – The Point Central smart home automation system allows for additional Z-wave devices to be connected, like a thermostat or exterior camera (coming soon). They, too, can be monitored through the dashboard. Installation – Both the lock and thermostat easily replace your existing components and the hub sits in a convenient location that’s out of the way. The system is installed by trained professionals. Software – The functionality and ease of use for both our team members and owners is far superior to the competition. The dashboard is easy to navigate and understand, and the mobile app provides us with the ability to access our entire portfolio and for the owner, his/her property. Restrictions – The dashboard also allows us to not only set access restrictions depending on who is entering the property, but gives us the capability to set thermostat parameters based on occupancy. Choosing a smart home automation solution is tough, but I encourage anyone who is interested to weigh the options between wifi and cellular-based solutions. Anytime I meet with an owner that has already installed a smart home automation solution, their biggest frustration comes from the downtime. Once we discuss the cellular option, they immediately say, “I wish I had known about this before I spent all of that money.” Don’t get me wrong, the wifi solution is great for your home but not for your vacation rental. 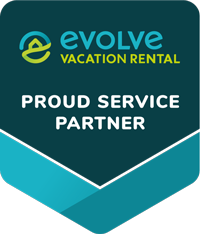 We have set out to provide vacation rental owners with an entire service solution that gives them the ability to walk away from costly vacation rental management companies without losing the great features they provide to their guests. Interestingly enough, the vacation rental companies that provide you with the smart home solution not only charge you for the equipment, but also when you leave the program they remove it from your property and recycle it back into their system. They also claim to be investing “millions of dollars into smart home automation”. The only money they are investing is yours. One thing is for sure: that’s not how we do business. We provide and install the solution that you pay for, but in the event that you discontinue our service, the equipment remains installed at your vacation rental. All you have to do is simply contact Point Central and set up your own personal account. Finally, there is a solution for you to break free from traditional rental companies!